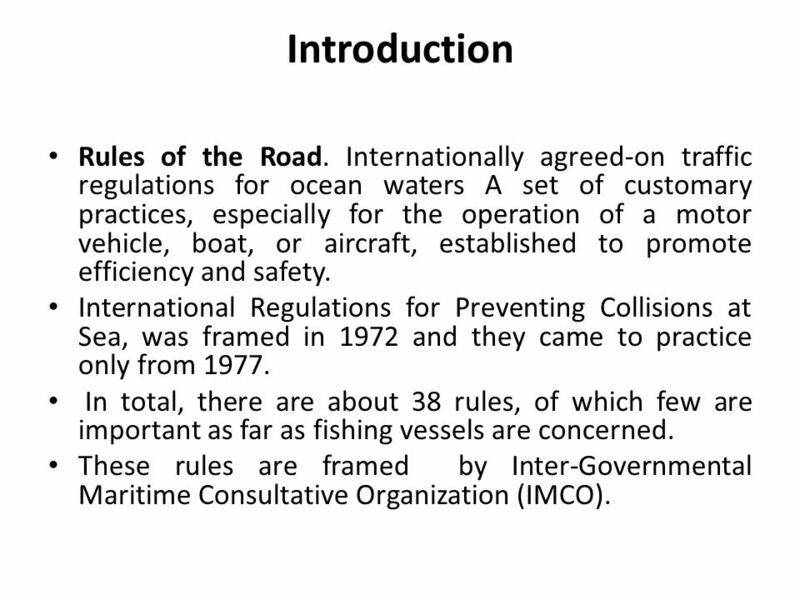 THE INTERNATIONAL REGULATIONS FOR PREVENTING COLLISIONS AT SEA 1972 PART A. 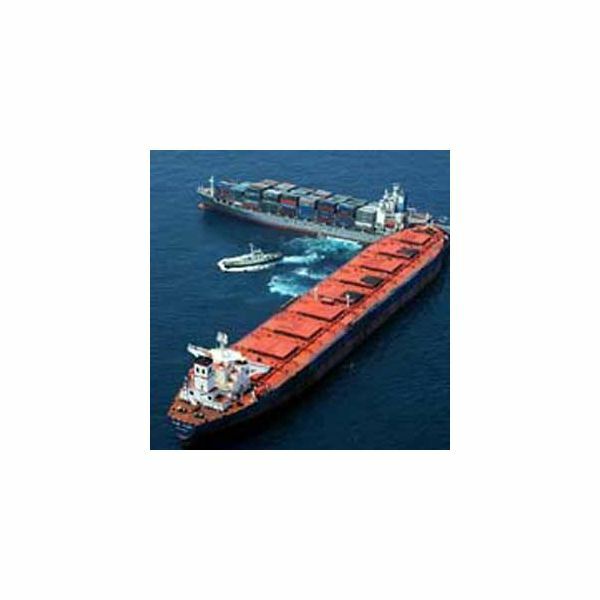 GENERAL With amendments adopted from November 1995 and 2003 Rule 1 Application (a) These rules shall apply to all vessels upon the high seas and in all waters connected therewith navigable by seagoing vessels. (b) Nothing in these rules shall interfere with the operation of special rules made by an …... – ColRegs: Rules of the Road – covers Part A: General (Rules 1-3), Part B: “Steering and Sailing Rules” (Rules 4-19), Part D: “Sound and Light Signals” (Rules 32 to 37) and “Distress Signals” (Annex IV) of the International Regulations for Preventing Collisions at Sea,(IRPCS) or ColRegs. He is the author of Farwell’s Rules of the Nautical Road (8th edition, Naval Institute Press 2005) and Maritime Counterproliferation Operations and the Rule of Law (Praeger 2007) and serves on the Board of Editors for the Journal of Navigation and Ocean Development and International Law.... – ColRegs: Rules of the Road – covers Part A: General (Rules 1-3), Part B: “Steering and Sailing Rules” (Rules 4-19), Part D: “Sound and Light Signals” (Rules 32 to 37) and “Distress Signals” (Annex IV) of the International Regulations for Preventing Collisions at Sea,(IRPCS) or ColRegs. ColRegs: Rules of the Road is a quick reference tool featuring more than 100 graphics to help seafarers identify vessels and the activities they are engaged in, as specified by The International Regulations for Preventing Collisions at Sea (ColRegs).